Colonizing a new territory allows you to begin expanding a new city and economy. You can choose any of the free territories on the global map. Make sure you pick a territory with bonuses that fit your needs. When can I colonize a new territory? 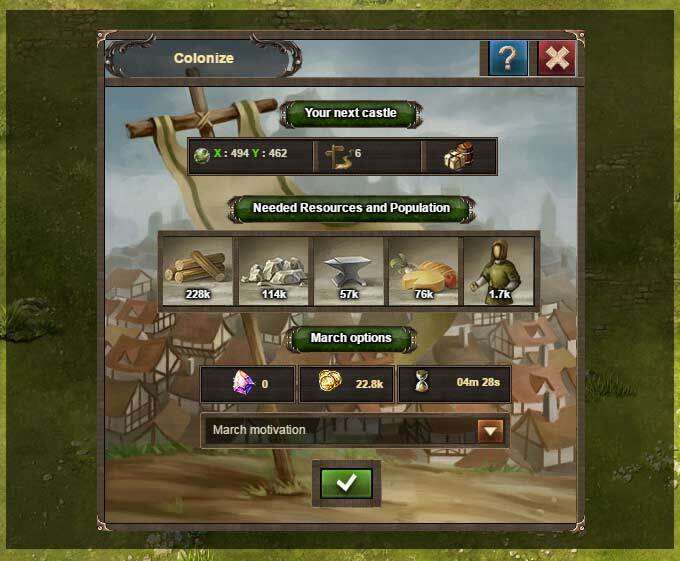 Every Palace upgrade allows you to colonize or siege one new territory (or city). - This gives you a total of 10 cities under your command after you complete the 10th upgrade of the Palace. Once this is done you can have a look at the territories on the global map. They each provide production and military bonuses. Keep in mind that the production bonuses provide benefits mainly for one of the resources. 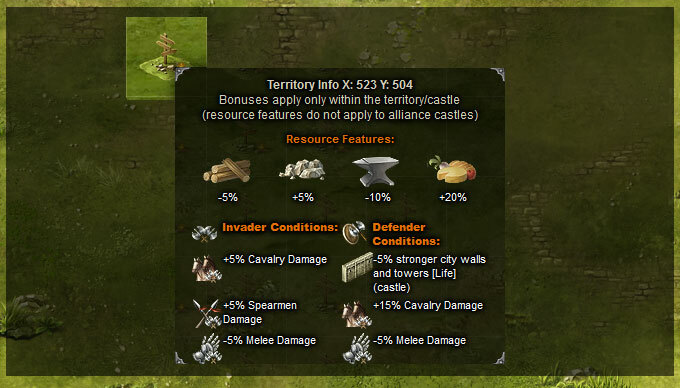 The same goes for military – your cavalry may gain damage bonus but the territory would not be so rewarding for the melee units. 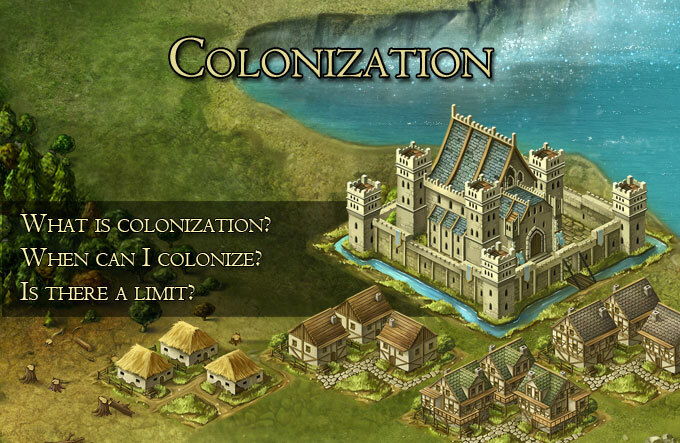 A window with details about the city colonization details will appear after you click on your territory of choice. You can see the distance from capitol, coordinates, colonization expenses and required population for the process. All that is left is to confirm and continue to expand your great Empire! Your palace can be upgraded to level 10, which means you can have up to 10 cities.